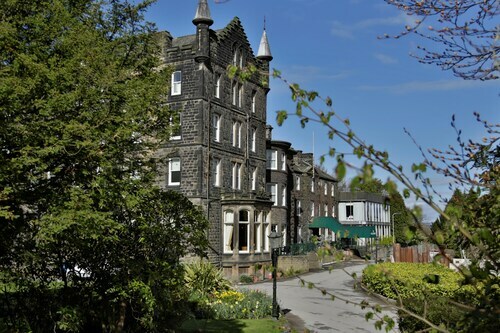 Situated in Ilkley, this hotel is within a 15-minute walk of Manor House Museum and Ilkley Playhouse. Ben Rhydding Golf Club and Ilkley Pool and Lido are also within 1 mi (2 km). Ilkley Station is 10 minutes by foot and Ben Rhydding Station is 17 minutes. 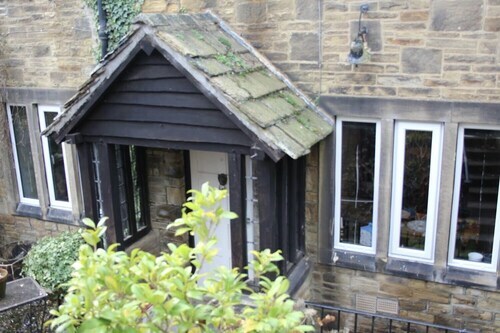 Situated in Ilkley, this golf cottage is within a 15-minute walk of Ilkley Playhouse and Manor House Museum. Ilkley Pool and Lido and Ben Rhydding Golf Club are also within 2 mi (3 km). Ilkley Station is 7 minutes by foot and Ben Rhydding Station is 20 minutes. 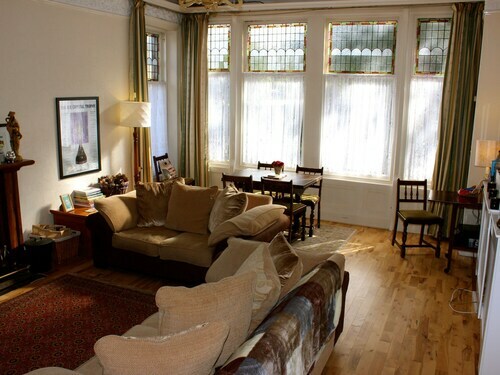 Situated in Ilkley, this guesthouse is within a 10-minute walk of Ilkley Playhouse and Manor House Museum. Ilkley Pool and Lido and Ben Rhydding Golf Club are also within 2 mi (3 km). Ilkley Station is 6 minutes by foot and Ben Rhydding Station is 19 minutes. 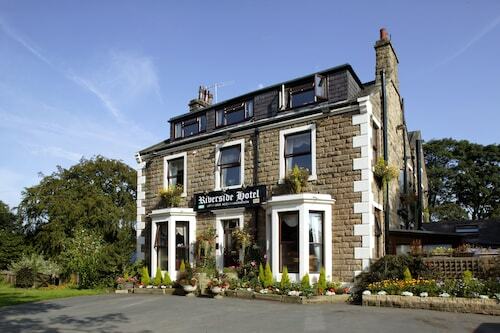 Situated in Ilkley, this inn is steps from Manor House Museum and Ilkley Playhouse. Ilkley Pool and Lido and Ilkley Golf Club are also within 1 mi (2 km). 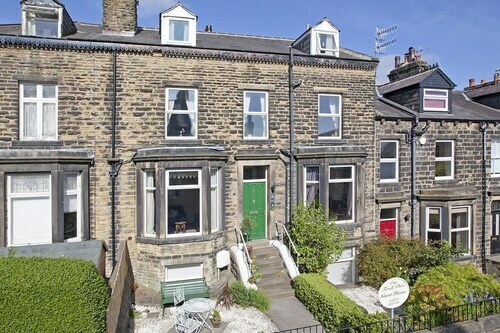 Ilkley Station is only a 3-minute walk and Ben Rhydding Station is 25 minutes. Situated in Ilkley, this inn is within a 10-minute walk of Manor House Museum and Ilkley Playhouse. Ilkley Golf Club and Ilkley Pool and Lido are also within 15 minutes. Ilkley Station is 10 minutes by foot. 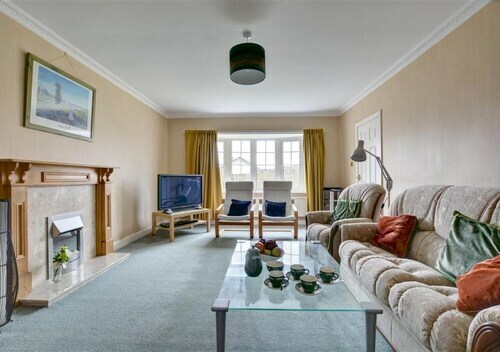 Situated in Ilkley, this vacation home is within 1 mi (2 km) of Manor House Museum, Ilkley Playhouse, and Ilkley Golf Club. Millenium Maize and Ilkley Pool and Lido are also within 2 mi (3 km). Ilkley Station is 22 minutes by foot. Situated in Shipley, this golf hotel is 3 mi (4.9 km) from Shipley Glen Tramway and within 6 mi (10 km) of Salts Mill and Northcliffe Golf Club. Chevin Forest Park and Lister Park are also within 6 mi (10 km). Baildon Station is 27 minutes by foot and Guiseley Station is 29 minutes. 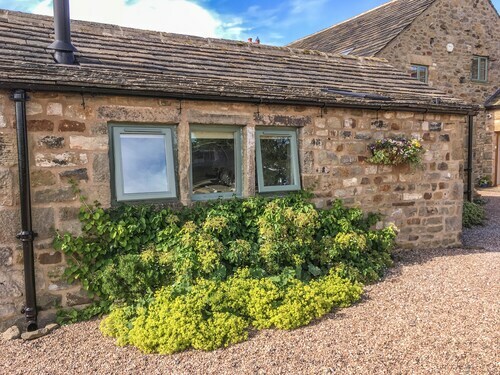 Situated in a rural location, this vacation home is within 2 mi (3 km) of St. Ives Estate, East Riddlesden Hall, and Bingley Five Rise Locks. Bingley Arts Centre and Keighley Library are also within 3 mi (5 km). Crossflatts Station is 23 minutes by foot. 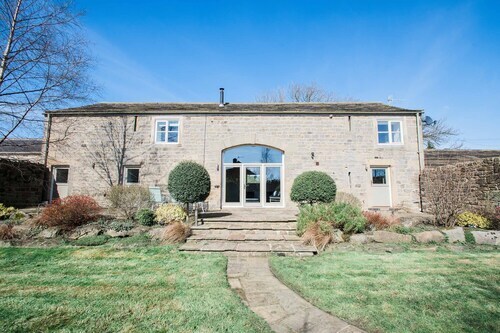 This family-friendly Ilkley vacation home is located in a rural location, within 2 mi (3 km) of Ilkley Playhouse, Ilkley Golf Club, and Manor House Museum. Yorkshire Dales National Park is 2.9 mi (4.7 km) away. Ben Rhydding Station is 29 minutes by foot. 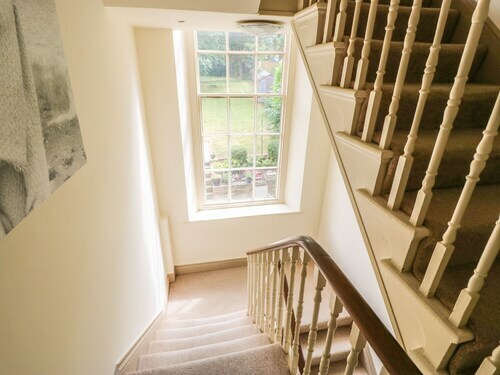 Situated in a rural location, this cottage is within 3 mi (5 km) of Manor House Museum, Ilkley Playhouse, and Ilkley Toy Museum. Ilkley Golf Club and Ilkley Pool and Lido are also within 3 mi (5 km). Situated in Ilkley, this apartment building is within 6 mi (10 km) of Ilkley Pool and Lido, Ilkley Playhouse, and Otley Courthouse. Chevin Forest Park and Ilkley Golf Club are also within 6 mi (10 km). Burley-in-Wharfedale Station is 15 minutes by foot. 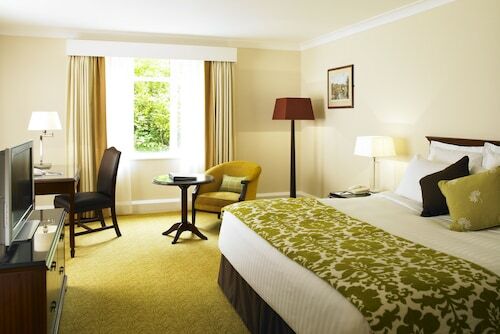 Situated in Bingley, this hotel is within 1 mi (2 km) of Bingley Five Rise Locks, Bingley Arts Centre, and St. Ives Estate. Bingley St. Ives Golf Club and Baildon Moor are also within 3 mi (5 km). Bingley Station is 16 minutes by foot and Crossflatts Station is 23 minutes. Ilkley Moor is definitely a place worth experiencing. Ilkley is where you can find it. To get there, you'll need to travel 35 miles (56 kilometers) from Manchester, which is a terrific city in its own right. Though you'll only find 2 accommodations in the area, they are a short commute from the attraction. The Best Western Plus Craiglands Hotel and Ilkley Riverside Hotel are within 2 miles (3 kilometers) of Ilkley Moor. There are several premium hotels within a short drive, perfect in case you're feeling a little indulgent. Consider the Devonshire Arms Hotel & Spa and The Manor Cullingworth - Guest house. Get ready to be perplexed as you search for the exit among the tangled twists and turns of Millenium Maize. If you can't make it to one of the more well-known museums, expand your knowledge at Ilkley Toy Museum. Go on an expedition at The DalesWay, a well-known local hiking trail. You'll be sure to enjoy a fascinating guided tour of Manor House Museum, a local historic house. See a play at Ilkley Playhouse and see the plot thicken! How Much is a Hotel Room in Ilkley Moor? Hotels in Ilkley Moor start at $45 per night. Prices and availability subject to change. Additional terms may apply.